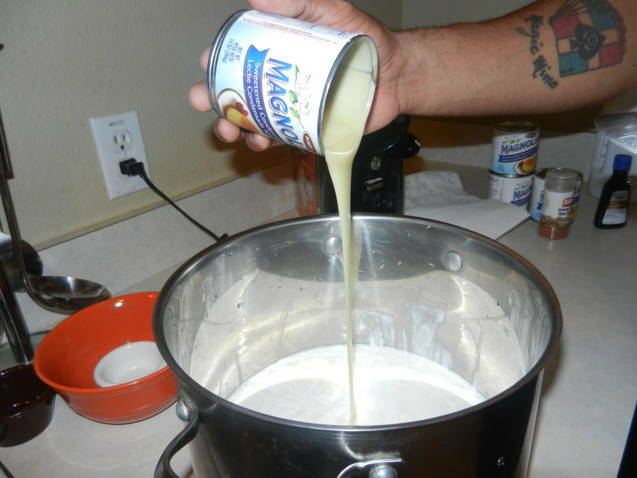 Rum popo, a rum-infused eggnog is generally part of many Belizean homes during the holiday season. 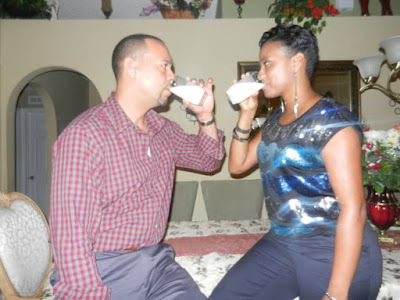 But this Christmas lets hop on over to the island of Puerto Rico with my friends Janelle and David for a yummy creamy shot of coquito. And what better place to be because we all know that a Latino Christmas is full of cheer, happiness, great food, good music and dance. David said that they deserve only the best at Christmas time and that coquito and the Christmas dinner goes hand in hand! The Christmas dinner, where family and good friends come together to celebrate, is an ancient Roman tradition that began moons before the Christian era. Christmas was officially declared in 354 AD by the Roman Bishop Liberius who choose December 25th as a day to celebrate the birth of the Christ child. Some scholars believe that Bishop Liberius chose this date so that Christians, at that time, members of an “outlaw religion” in the eyes of the Romans, could celebrate the birth of their savior without fear of being persecuted for their religion. For ten years now Latinos in New York City battle it out to be the Coquito Masters champion. You can take trolleys to different locations in Spanish Harlem to sample coquito and vote for the best coquito drink. Christmas time is the best time to savor all the delicious coquitos in Puerto Rico and in all the Latino neighborhoods in NYC. There are different variations to the drink and Puerto Ricans tend to keep their coquito recipes top-secret. But David has agreed to part with his grand-mother’s secret recipe. Coquito, an integral part of Puerto Rican Christmas! I would love to learn all about your holiday beverages! What are you drinking; punch, rum popo or coquito? Many people opt for not including the eggs. If you opt out, transfer all ingredients to blender. 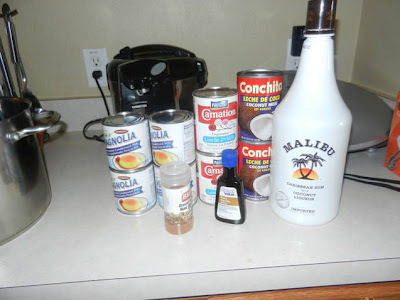 Transfer mixture to a blender, and add coconut milk, sweetened condensed milk, rum, cinnamon or nutmeg, and vanilla. Blend thoroughly for about 30 seconds. Pour into glass bottle or pitcher, and chill overnight in the refrigerator. It's best to drink it within 3 days of preparing, if your family and friends don't raid your fridge and finish it before then. 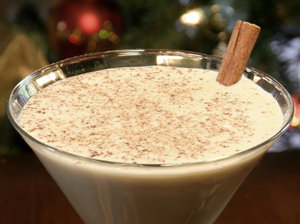 Coquito is eggnog, Puerto Rican style, enriched by a delicious addition of coconut. Sounds like a delicious and refreshing Holiday drink !